Post news Report RSS	Game Release - FREE for PCs and MACs!!! 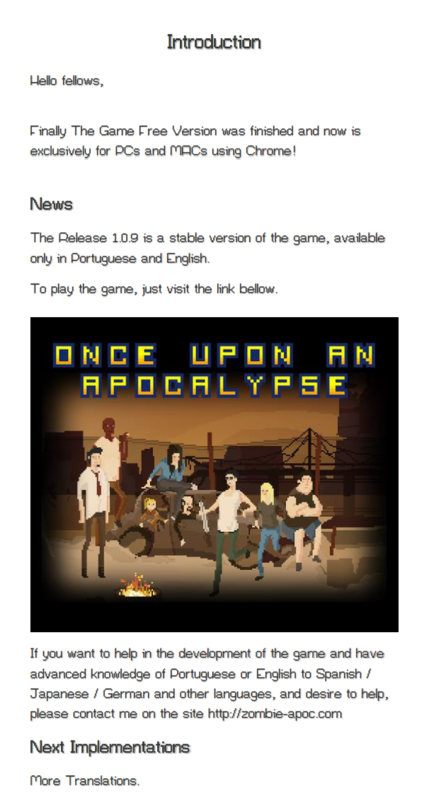 Finally The Game Free Version was finished and now is exclusively for PCs and MACs using Chrome! Cant get any survivors to come along.